Aguilar de Nerha was a member of the Spanish Brotherhood of Assassins during the Renaissance, who dedicated his life to fighting the Knights Templar and the Inquisition led by Tomás de Torquemada. Born to two members of the Brotherhood of Assassins, Aguilar refused at first to embrace his parents’ Creed, preferring to live his life free of commitment. Unfortunately, tragedy struck when both his parents were captured and burned at the stake by the Templar-led Inquisition. Full of regret, he then officially joined the Brotherhood to avenge them, but also to honor their Creed that he now fully understood. During his training as an Assassin, Aguilar showed great talents for combat and acrobatic feats, quickly becoming one of the finest members of the Brotherhood. 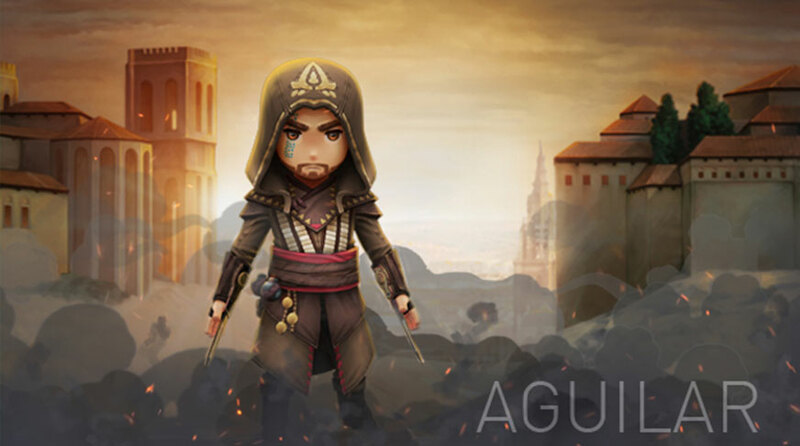 Aguilar was an essential driving force in the expansion of the Assassins in Spain and in their success against the Templars, and he eventually became the new Mentor of the Spanish Brotherhood.